"I had called the Vet’s office yesterday to report Cadbury missing and they got my details and with my consent passed it onto the Council. I received a call from the Council after hours service Officer this morning to confirm that she had retrieved Cadbury from a house two streets away. 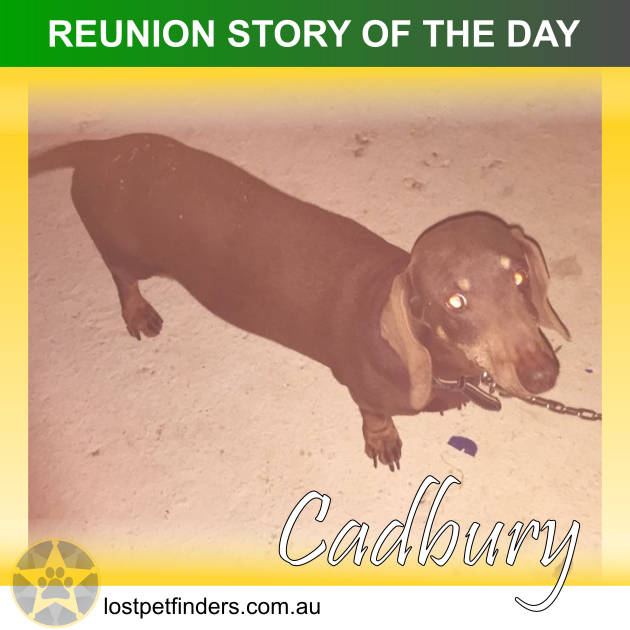 Cadbury had wandered 360 metres and dug under their fence and into their backyard. They were wonderful people who have two dogs of their own. They fed him and gave him water and kept him overnight. They called the Council this morning and reported the incident and Council got in touch with us after matching our description that was provided to them by the Vet’s office and Cadbury’s microchip. We are so grateful for all the assistance that we received from you guys and members of the public who were very encouraging on the Facebook site. We particularly want to thank the family that housed him and fed him overnight. It was a very anxious night for us.